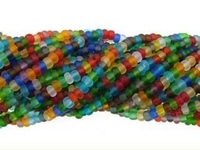 Use Czech glass seed beads for all types of beaded jewelry and craft projects. 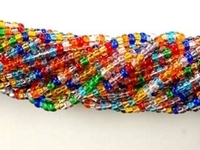 Choose from a variety of colors and finishes that are available in Czech sizes 8 and 11. 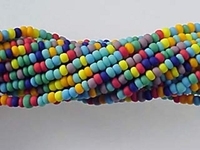 For seed bead information on figuring out the number of Czech and Japanese seed beads per gram, converting bead sizes from millimeters to inches, beads-per-inch conversion and choosing the appropriate needle size for your seed beadwork, see our bead conversion table.